Lockett McCullough Lawyers is a boutique legal firm based in the western Brisbane suburb of Toowong. 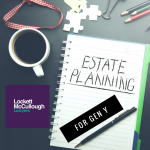 We are a general legal practice specialising in property matters, estate planning and administration, will disputes, commercial law, family law and dispute resolution. The practice was established by Courtney Lockett in early 2016 and has grown through the acquisition of Graham Isles & Associates in July 2016, along with its reputable senior conveyancers, Chantelle Pymble and Vicki Partanen. The practice provides legal assistance to a wide range of clients both locally and internationally and specialises in assisting defence force personnel with private legal issues. Lockett McCullough Lawyers is a boutique legal firm with offices based in Toowong and the Northside suburb of Albany Creek. We are a general legal practice specialising in property matters, estate planning and administration, will disputes, commercial law, family law and dispute resolution. The practice was established by Courtney Lockett in early 2016 and has grown through the acquisition of Graham Isles & Associates in July 2016, along with its reputable senior conveyancers, Chantelle Pymble and Vicki Partanen, and also the acquisition of MTM Lawyers in June 2018. The practice provides legal assistance to a wide range of clients both locally, interstate and internationally and specialises in assisting defence force personnel with private legal issues. 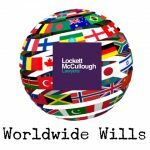 I have used Lockett McCullough Lawyers for various legal services including – Conveyancing, Wills and Power of Attorneys. I have found them to be efficient, affordable and thorough and would happily recommend them to others. Courtney recently did my conveyancing for my first home purchase, and wills for my fiancé and myself. I felt absolutely confident in the progression of both, as Courtney took the time to explain the processes in a way that I could understand. She was proactive in telling me when I needed to take next steps which I found reassuring as it meant I couldn’t miss anything important. 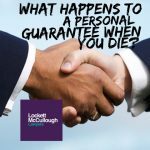 I would wholeheartedly recommend Lockett McCullough to anyone looking for legal assistance with a personal touch. Courtney is very genuine and totally understands my personal needs. I have been very fortunate to have Courtney to take care of a few matters for me. She is so personal and very professional. Very helpful and willing to listen! Courtney Lockett is a true professional and comes highly recommended. I have been a Real Estate Agent for 10 years and only refer Courtney to my clients. Her attention to detail is amazing but most importantly, it’s her integrity and communication skills. Have any questions? Speak to the experts.